When I travel, a clean and comfortable hotel to come home to at the end of a busy day is always at the top of my list ~ a retreat to escape the swirling activity of life. A time to refresh and regroup. It needs to be convenient in respect to my itinerary. It is also a plus to be served a good breakfast before beginning a new day. I found this all on Ponza Island. 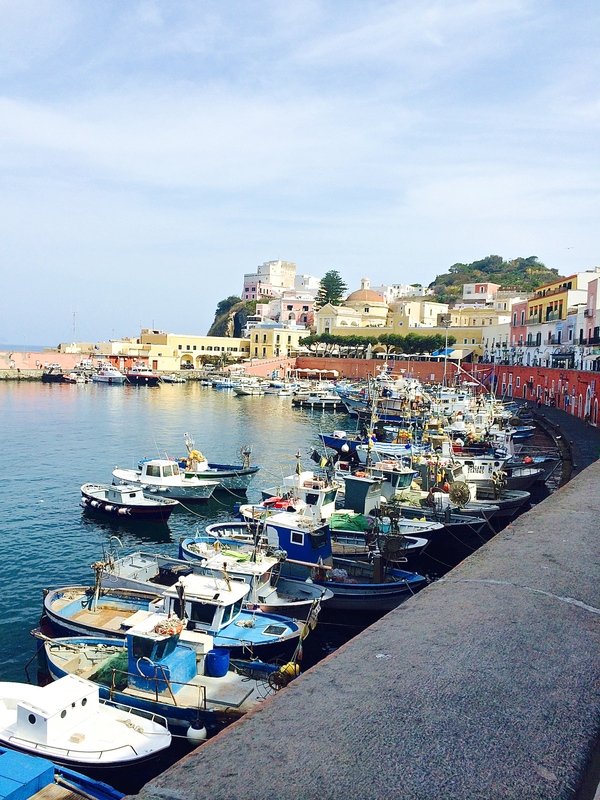 Last September I spent three days on Ponza, a small crescent-shaped island in the Tyrrhenian Sea between Rome and Naples, with my travel blog tour group This Is Your Time. 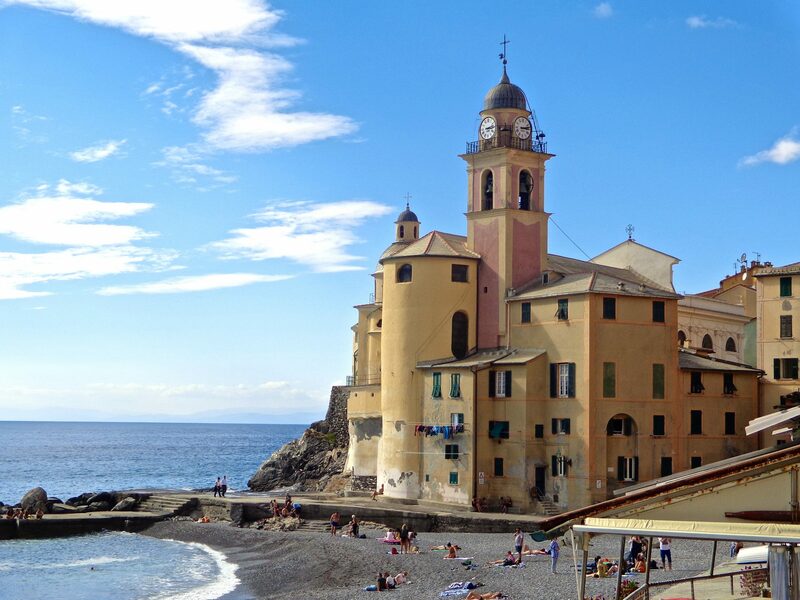 This was my first introduction to island life in Italy and I fell for the quaint and colorful village nestled against a sparkling blue harbor. Our group discovered rocky coves and sandy beaches. We explored grottos, caves and craggy cliffs that lined the water’s edge. The first lodging was at the Hotel Piccolo Luisa, a lovely white-stuccoed collection of remodeled buildings just a short walk from the port area. Inside, the Mediterranean style with an Asian flair infused a sense of class. Just past the reception desk was a large open room with comfortable furniture and nooks for privacy. Spacious windows served as portals to the surrounding island landscape. A warm greeting awaited us by the staff who operate this family run hotel. We had the pleasure of meeting the madame of the house, Mrs. Luisa Mazzella. She was full of smiles and sage advice. We felt right at home with her gracious hospitality. 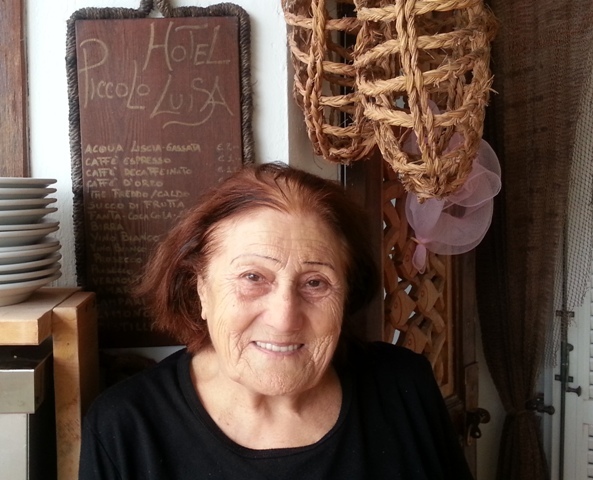 She freely shared her fascinating island experiences and the history of Hotel Piccolo Luisa. The rooms were clean and cozy, with a touch of originality in each. Some of them overlooked the garden while others offered views of the island from balconies. 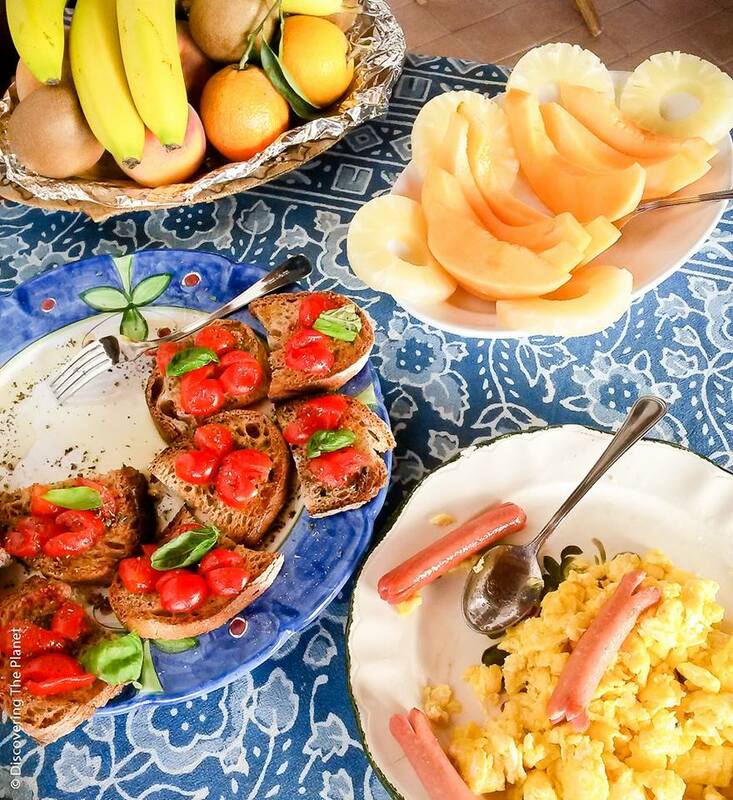 One of the best amenities was the full buffet breakfast served every morning on the open terrace. A menu of local products and traditional foods both sweet and savory made for a very tasteful and satisfying meal. Luisa took great pride in her menu items and enjoyed discussing some of her recipes. 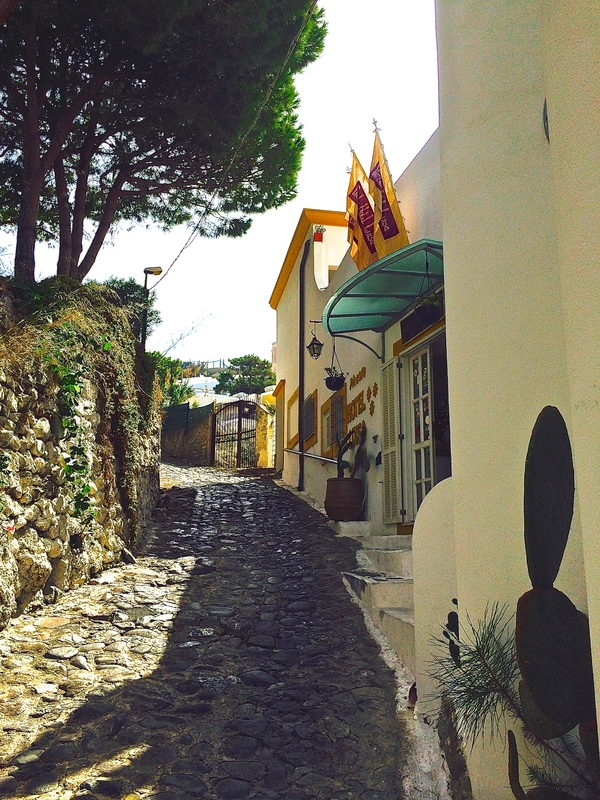 While dining, we enjoyed viewing the hills of Ponza with its colorful little pastel houses tucked into the landscape. Inside the entrance and past the reception desk is a large living room with tables and nooks. Our last night on the island was spent away from the village. 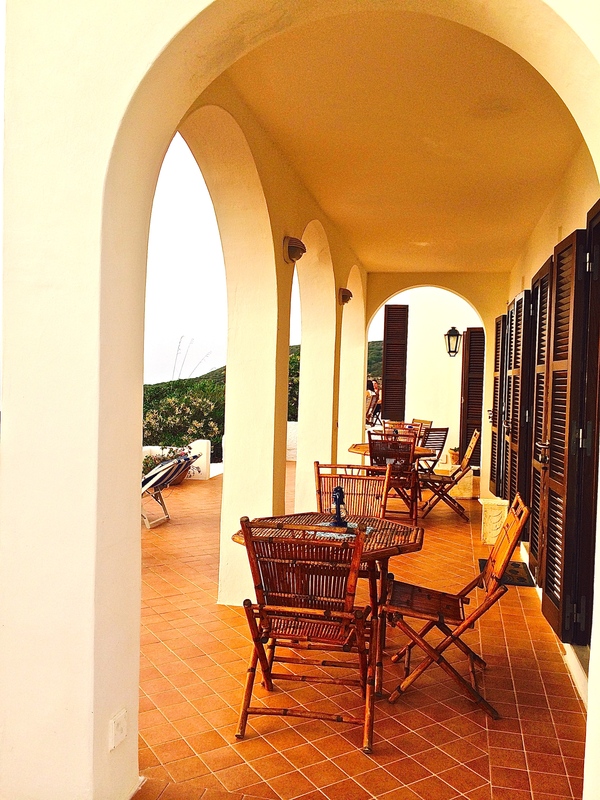 Il Gabbiano B & B, located four km from the port, sits majestically on a ridge overlooking the sea. The white villa is surrounded by island nature and cradled in blue from sea to sky. A large outdoor terrace provides tables and lounges for relaxation. Long shuttered wooden doors open onto the terrace from rooms that inspire a time to reflect, write and restore. Exotic views of the rugged island shoreline below and Palmarola Island in the distance can be easily seen. We stood on the terrace and soaked up the warm sunshine. All was quiet except for the faint rustle of leaves from the soft ocean breeze. That evening, we enjoyed a late night aperitif by candlelight under the stars surrounded by a peaceful stillness. The B & B offers three spacious rooms and a full kitchen. 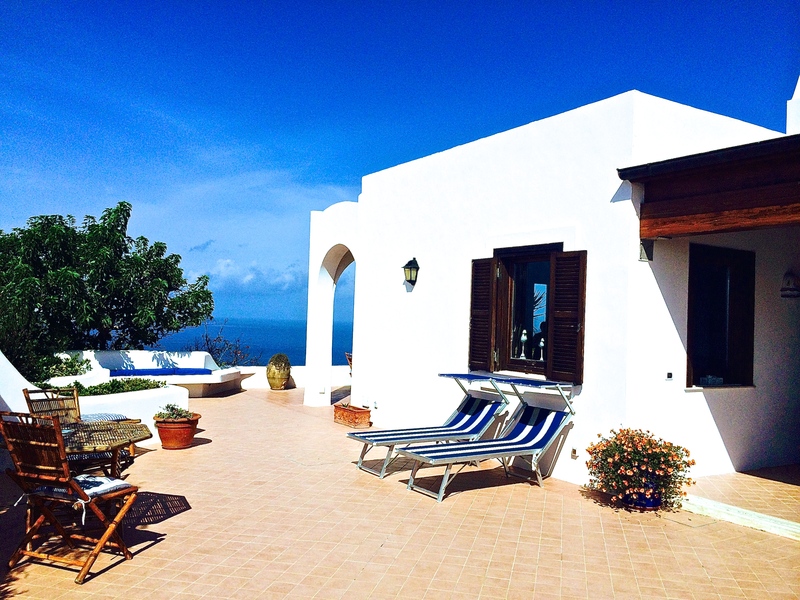 It is a complete villa, dressed in a crisp Mediterranean style. Breakfast was prepared and served by a local resident employee. We enjoyed a wonderful buffet outside on the patio accompanied by Maurizio Musella, who is the owner of Il Gabbiano and is also the “Delegato al Turismo” on the island. The entire villa can be booked, or just by the room. The luxurious rooms will accommodate one to two people each and include an array of lavish amenities. For more information refer to the website link above. Sunset on the terrace with a view of Palmarola in the distance. In the rush of travel planning it’s easy to miss out on finding a hotel that is just right. 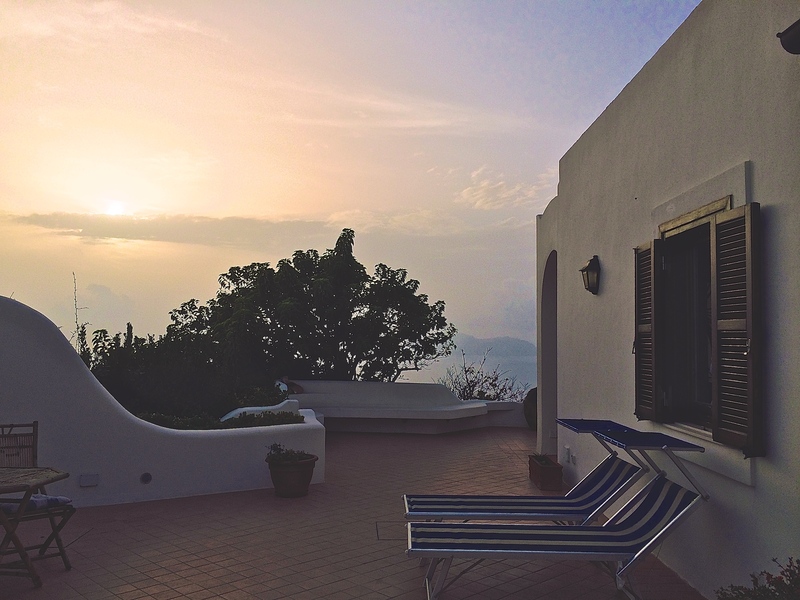 Whether your plans are to be in the port village or out among nature, Ponza promises to please. Wow, it looks idyllic!! What a great find! It looks almost Greek in places with its white-washed walls etc. Lovely lovely post, thanks! You know I thought of Greece too!! I’m glad you liked it. 3days was not enough time but the experience unforgettable! One for a return visit I suspect eh? Happy holidays!